1.Impeccable structure with a clean sheath. 2. 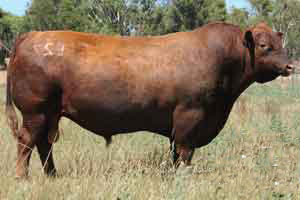 Great mating flexability with his outcross pedigree. 3. He is a breed leader for Rib Eye and Marbling.